There comes times in every person’s week where you just want to take a break from reality and all the busyness to dive into some of your favorite movies and TV shows. Why not kick up your relaxing even a notch and try out a subscription plan for food, drink, streaming services, or even personal items?!. You work hard and deserve to relax “hard,” too. Take a look at some of our favorite subscriptions to enhance your home theater experience! Do you want all the goodness of the foods you love, but don’t want your waistline to pay the price? How about substituting those snacks for healthier, but equally delicious alternatives? Graze is a monthly subscription where you get to choose from 100+ healthy and wholesome snacks you want delivered to your door and how often. 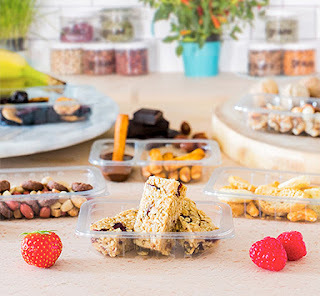 With usually 8 individual sized snacks to a box, you decide whether a box each week, every two weeks, or once a month. You can shop through their intensive shop categories that will satisfy any craving, and also fulfill whatever health specifications you have. Are you watching your calories or sugar count? They will show you the perfect snacks to help. They also have specialized categories for any occasion, including when you are watching a movie! So, get ready to have all the delicious flavors from your favorite candy and popcorn in new, healthy forms. For those of you who love the lightly salted or black pepper popcorn, you’re in luck, because 4seating.com has both vintage and contemporary popcorn machines that will ensure that each batch is perfectly popped each time, and will also look incredibly stylish in your home theater. All you sweet tooths out there will adore the chocolate pecan pie bags and the salted fudge and peanut cookie assortments. You can’t go wrong with these snacks! When you join Graze’s subscription, your first box of snacks will be half off, and all others will be $13.99, so you’ll get awesome flavors for pretty cheap. It is the perfect accompaniment for any casual or serious movie going experience. For all of you wine enthusiasts out there who enjoy sipping on a glass while you watch movies, this could be your perfect subscription. Vinebox is the first ever box subscription that sends you three or six measured amounts of wine straight to your doorstep. All you need to do is order, receive the box, and pour the small tube of wine into your glass. It’s perfect for everyone who wishes they could sample a new wine before they waste money on a bottle they might not enjoy. These wines are specifically chosen from boutique wineries in Europe just to suit your tastes, and if you discover one you love, you have the option of ordering an entire bottle. The process is very simple: Vinebox has you take a quiz about yourself and your wine preferences, then you choose how many samples of wine you would like per month (either three or six), and finally you decide for how many months you would like this service. It’s so simple! Each wine also comes with tasting notes, a list of recommendations for other wines you might enjoy, and pairings to go with the wine. So, it’s like having a sommelier right by your side. The subscription boxes start at $25 per month, so while it might cost more than other subscriptions, you will be getting quality wine without overpaying for a bottle that doesn’t do anything for you. Keep that prized glass upright with a wine glass caddy from Seatcraft that connects directly into your theater seat! It’s time to add a little adventure to your snack menu! Explore food from countries all around the world without ever leaving your home theater. 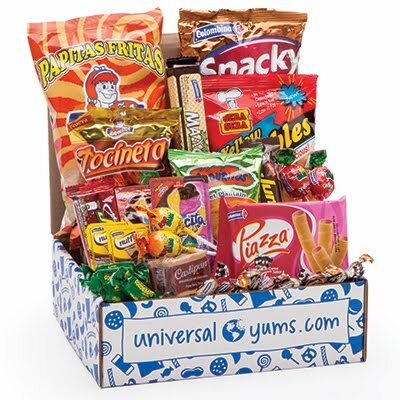 Universal Yums is a subscription service that sends a box of popular, regional snacks from a different country each month. You never know what you’re going to get, so each unboxing is a unique experience. Past boxes include: Colombia, Korea, Mexico, Japan, Austria, and many more. If you’re sad about missing out on a country you’ve been willing to try, don’t worry, for there’s a chance that they will revisit fan favorites in the future. There are two different boxes that subscribers can choose from: The Yum Box, and the Yum Yum Box. The Yum Box includes 6+ snacks per box and an eight page booklet about the country the snacks are from, along with trivia and games. The Yum Yum Box is very similar, but includes 12+ snacks per box and a 12 page booklet. After you choose how big of a box you want, you can choose to pay for a full year of snacks, or just month to month. There is also free shipping if you live in the USA! Pricing varies depending on the length of time you want the service along with the size of the box, but the Yum Box starts at around $13-14, and the Yum Yum box starts at $23-25. This service is perfect for those of you who want to try new things and experience new cultures all at the same time, and it will be an amazing addition for your movie or TV watching. If you’re someone who wants the perfect date night with the one you love, but don’t want to deal with large, annoying crowds of strangers ruining the mood for you, then you might want to check this out. Hello Fresh is a weekly subscription that delivers boxes of fresh, healthy ingredients alongside recipes for you to cook at home. Each ingredient is pre-measured, so all you have to do it follow the directions and add a bit of salt. It is a great solution for everyone who has had a bad restaurant or movie theater experience, or just want to spend a romantic night at home. All the ingredients are fresh and of the highest quality, so you don’t have to worry about being sold bad produce. The site also offers vegetarian options for those who just don’t like meat, and family meal plans for a couple with kids. 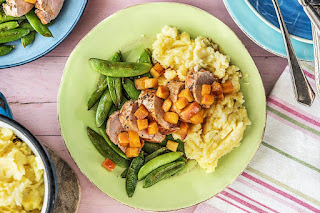 Whether you’re using this service for a night with your special someone, or for a family movie night, you will be all set for your dinner needs. Pricing starts at $9.99 per meal serving, so it’s cheaper than wasting time and gas driving to the grocery store! They will also offer discounts for both your first and second box, along with free delivery. If you’re worried about the food being delivered when you’re not at home, then it’ll ease your mind to know that each package is insulated and 100% recyclable, so contents will stay fresh for up to 24 hours. Can you ask for a better deal? We’ve gone over all the snacks, meals, and drinks that you can get to accompany your home theater experience, but is there something we are missing? Of course! The movies! Are you tired of the collection of DVDs that you’ve watched probably once or twice over, and want to experience something new? Then, why not try out one of these popular streaming services? You’ll be treated to a wide variety of TV shows and movies, some of which you may never have heard of! It will revolutionize everything you know about movie night, and you won’t be sorry for giving it a try. Netflix: This service is perfect for the viewer that loves original programming. It provides thousands of movies and shows just at the press of a button, and they’re filtering in and out new content each month, so you’ll never run out of things to watch. Pricing starts at $7.99 per month, and supports 1-4 concurrent streams, so you and your family can enjoy your own personalized selections. There isn’t any live TV, but there are also no ads, so that’s something to rejoice over. Hulu: This service is specialized for the TV lovers out there. Just like Netflix, Hulu has thousands of movies and TV shows you can watch, so you’ll never run out of content. Pricing starts at $7.99 a month, but it only supports one unlimited stream, so everyone will have to share! There is live TV and original programming, but it also has ads, and the ad free service costs extra. If you aren’t bothered by a few ads, then this will be perfect for you! Amazon Video: This service is perfect for all of you bargain hunters who want that to stretch over to your movie going experience. There are thousands of TV shows and movies at your fingertips, with the option of buying or renting movies from other streaming sources, so there are many cheap and easy options for you. The service supports two concurrent streams, so your very special friend can have their own streaming site if they don’t like what you’re watching. It has plenty of original programming and no live TV, but the lack of ads should make up for it. The service starts at $8.99 a month, so while it’s an extra dollar when compared to Netflix and Hulu, you are getting plenty of content, so it is worth the payment. There you have it, all of you movie and home theater enthusiasts! You have your fun time snacks, wine, complete meals, and even the sources for your movies that you can combine to create an amazing night for you and the ones you love. Check them all out if you’re interested in enhancing your movie night experiences, and make sure to check out 4seating.com if you are interested in upgrading your home theater room with high quality seating and accessories. You have to sit somewhere! Might as well be in luxury home theater seating!